Primary Industries Minister Nathan Guy stakeholders and investors in the Red Meat Profit Partnership (RMPP) in Wellington. Last week a group of stakeholders and investors in the Red Meat Profit Partnership (RMPP) met in Wellington to hear more about the successes in the RMPP Primary Growth Partnership, which is half way through its seven year programme. They also learned more about the RMPP Action Network, an initiative to be rolled out to all sheep and beef farmers later this year. RMPP Board Chair Malcolm Bailey acknowledged the significant productivity gains the sector has achieved over the past 30 years. "Yet there is still a huge opportunity to convert this to higher profitability on most farms and that is what RMPP is tasked to help deliver." Brenda Stewart, who farms a 300ha finishing property with her husband John, just north of Marton, spoke to the crowd about their experience working with RMPP. "When we were first approached to be a part of the extension pilot project we were a little unsure if it would benefit our business as we were already busy farmers," she said. "When we heard more about the project through RMPP partner, ANZCO, we saw it as the challenge we needed at this stage in our farming careers. It made us sit up and examine our business critically and see that we had potential to improve production and income. "One initiative alone saved us approximately $10,000 after we did a whole of farm soil test. This has greatly reduced our fertiliser bill and means fertiliser is only going on the parts of the farm that need it most." Brenda also touched on her involvement with the RMPP-funded Agri Women's Development Trust Understanding Your Farming Business programme. Nathan Guy, Minister for Primary Industries, and Malcolm Bailey both spoke about this programme which has been extremely influential in equipping women with the business knowledge, skills and confidence to better engage as vital farming partners. "The strength of the programme for me was the sharing of knowledge between the participants," Brenda said. "Looking at the big picture of farming as a business partnership where women have plenty to offer and plenty to learn. Decision making, strategic planning, comparing and adjusting KPIs, a whole new language to many women." "For us, the resources which have been developed are brilliant," she said. "Everything is there in the resources. They are well thought through and well put together to make it easier for teachers to pick them up and run with them. "Many rural schools would have been tapped on the shoulder to trial the resources but already had a degree of exposure to the industry and so including urban schools such as ours was really sensible. "Many of the opportunities for urban students to be exposed to the industry which once existed, exist no longer and this further exacerbates the disconnect. It is so great to see what we in teaching call an authentic context. Something that happens in the 'real world." "I was staggered with the lack of knowledge of what farming was all about that emerged using the resources," Jane said. Malcolm noted that 77 secondary schools throughout New Zealand are now registered to use the new resources and they have only been available since early this year. Mr Guy was enthusiastic about the benefits to the sector through new tools such as the Knowledge Hub, DataLinker and electronic Animal Status Declarations.
" Having one place for our farmers to go find information online is what makes the Knowledge Hub concept so fantastic and I look forward to seeing this launched later this year," he said. "Using DataLinker, farmers only need to input information once and allowing that information to be shared amongst multiple platforms is going to save our farmers time and money. "Just last week I was in the yards, scratching around for my Animal Status Declaration form. Having it as an electronic option is going to be fantastic and certainly save time." "Our trials with using an electronic Animal Status Declaration are showing positive results with more than 100,000 stock having gone through our partner Silver Fern Farms, Finegand plant," Malcom said. "This will save both meat processors and farmers time." The largest project the team is working on is the RMPP Action Network. 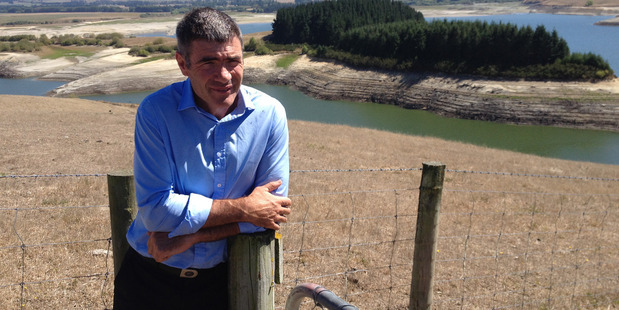 "We have been really encouraged by the results from our seventy plus pilot farmers and look forward to offering all sheep and beef farmers in New Zealand the opportunity to be involved in the RMPP Action Network," Mr Bailey said. "Farmers learn best from farmers and we know that bringing them together in small groups with experienced facilitators and independent experts is giving them the confidence to make the changes required in order to become more profitable." The team is working on rolling out the Network with the first groups of farmers starting in the next couple of months.